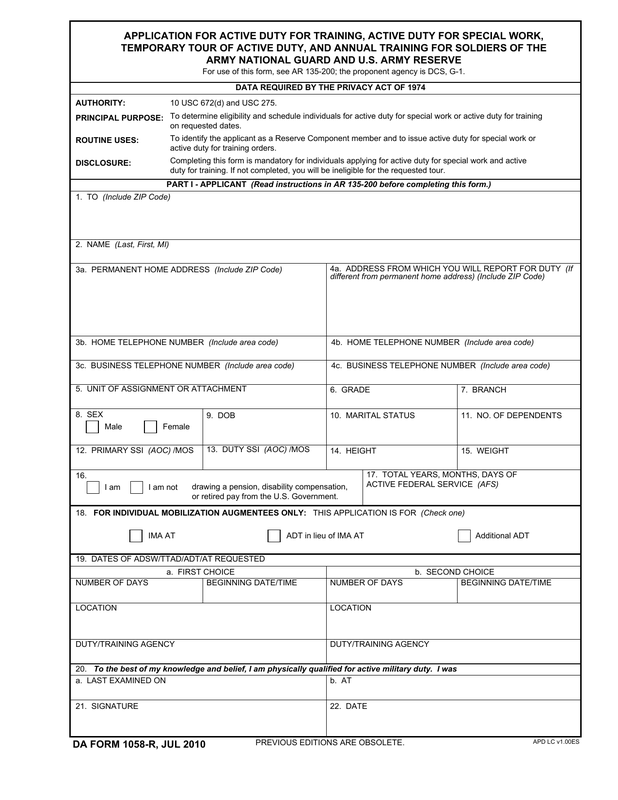 Download DA Form 1058-r, also known as Application For Active Duty For Training, Active Duty For Special Work, Temporary Tour Of Active Duty And Annual Training For Soldiers Of The Army National Guard And The U.S. Army Reserve. This form is designed to decide eligibility. 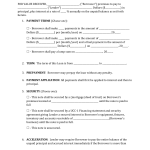 It’s also designed for scheduling, for active duty, special work or active duty for training on specific dates. 16. Read and answer question in block 16. 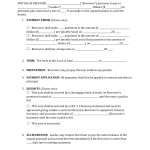 These forms are fillable online and/or printable for manual use and sending.